The last picture shows screen which had been treated with German sludge remover- It did Not Remove the Hard Carbon from the Screen! 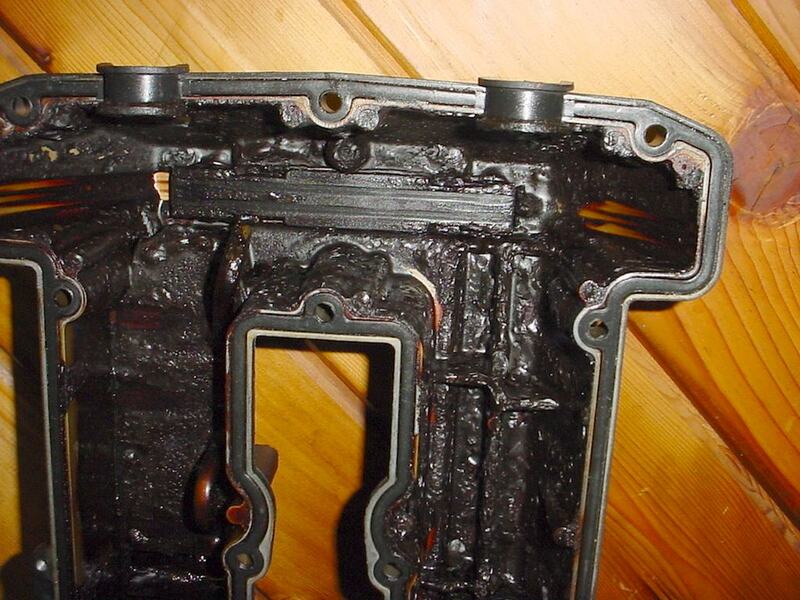 Sludge buildup in 4-cylinder engine Oil Pickup Screens can ruin your motor! 1990 and later 2.3L 9000's, 1994-1998 900's, 9-3's and 9-5's. The poorly thought out service recommendations for 10,000 mile oil changes, using generic Mineral oils or 5-30 semi-synthetics have ruined many 4 cylinder Saab motors, due to a very fine oil pickup screen in the oil sump, and coke (carbon) buildup inside the sump beneath the screen. 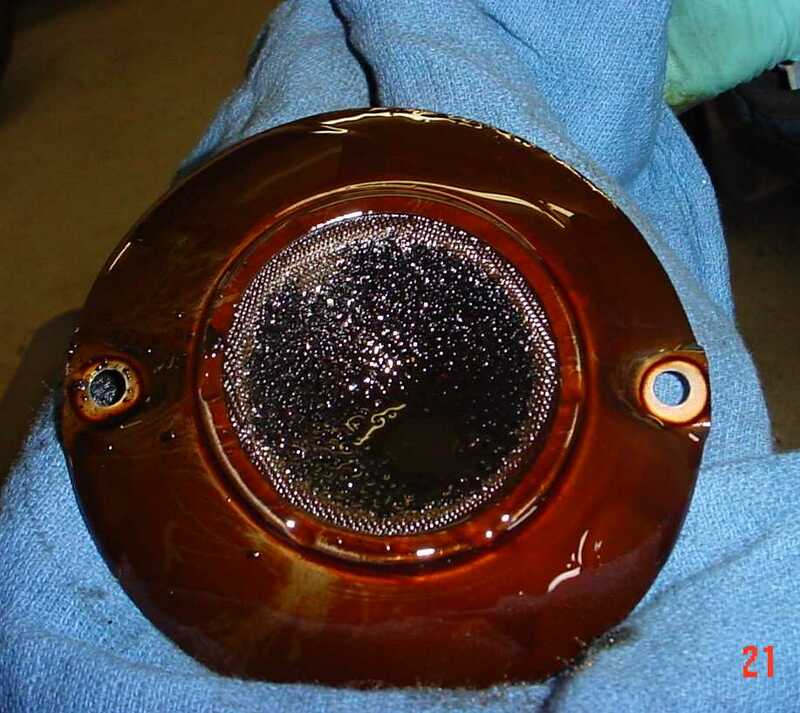 Some of this is due to the catalytic converter being mounted below the sump, causing heat, but we believe that most of the cause is inferior oil and infrequent oil changes. Currently, Saab recommends probing the bottom of the sump and screen area with a wire to check for sludge and carbon buildup. If found- Saab recommends removal of the Sump and complete cleaning. So far, only two of our regular customers have had this problem, and both had been a year out on their oil change. We use a high quality full synthetic 5/40 German Motor Oil, but Mobil One will be an excellent alternative. Mobil 1 Full Synthetic Oils come in 10/30, 0/40 and 15/50 viscosities. No matter what they say about "extended life" we still believe 5000 mile oil change intervals are Best, except for the 2003 and later 9-3 Sports Sedans, in which 7500 miles or when the oil moniter says 50%. We use 0/40 German Oil or Mobil One as is required by Saab. On new customer's Saabs, we probe for carbon. Based on Saab's recommendation and our acquired experience, if sludge is found in the sump, it is best to remove the sump and remove the sludge from the sump and oil pump screen. 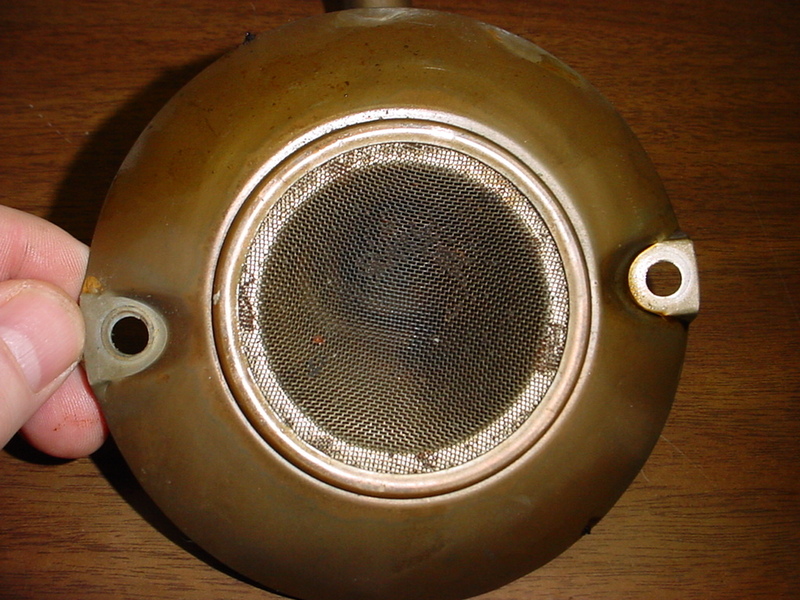 It is extremely invasive and tenacious; often requiring the interior of the motor, valve cover, chain wells, camshafts, oil tubes and galleries and interior of the block to be scrubbed and scraped and dissolved with various solvents, in addition to cleaning the sump and oil screen as Saab describes. Sometimes, we may try to reduce it with German Lubro-Moly "Sludge Remover" to clean the sump of sludge. 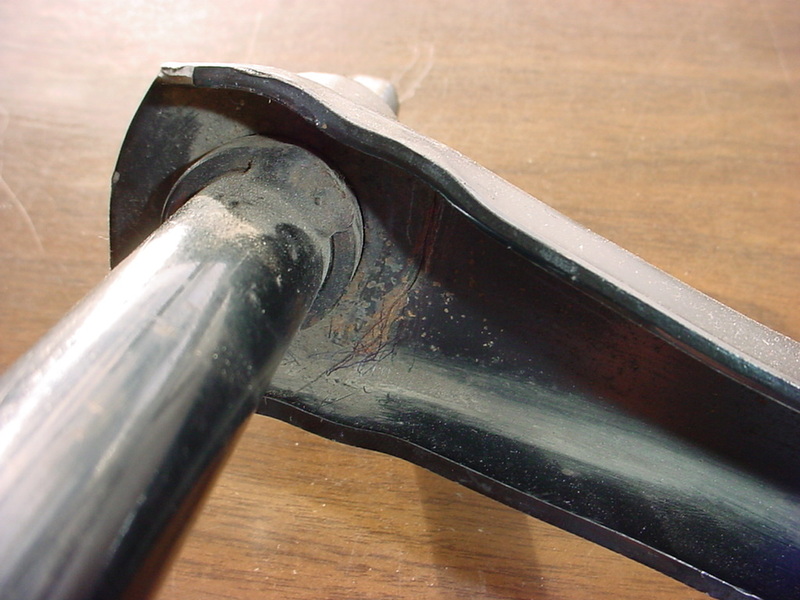 BUT RECENTLY WE HAVE FOUND THAT THE SLUDGE REMOVER DOES NOT REMOVE THE BAKED ON COKE/CARBON ON THE OIL PICKUP SCREEN! AND THEREFORE REMOVAL IS INDICATED. THIS WILL COST BETWEEN $350-$450 DEPENDING ON YOUR MODEL. IT IS CRUCIAL. Even after we have removed it from most visually accessible areas, it is still possibly inside the turbocharger oil inlet tube and other crucial oil galleries. It is MOST IMPORTANT to keep Sludge and carbon particles from forming. CHANGE YOUR ENGINE OIL EVERY 5000 MILES using Full synthetic oils. We are currently using 0/40 and 5/40 German oil. We have had excellent results from the sludge remover treatment in cases where small amounts of incipient carbon particles are found in the sump, but it is no guarantee to keep sludge from forming and clogging the pickup screen. Once we have done the best we can to remove the sludge, monitering for sludge and Carbon every oil change and in some cases flushing with the Lubro treatment may be indicated. If we find hard carbon particles, however, we think that you should err on the conservative side and remove the Sump for Cleaning. We have learned that Synthetic oils will not dissolve the sludge as we once believed. In any case- Monitering the Oil Pressure and making sure that the Oil Pressure Switch is operating well will insure that you do not starve your engine of oil. Before starting, with Ignition "ON", make sure the oil pressure lite is "on" . It is the small pictogram of an oil can or 'genie's lamp' icon. If it comes on before starting, and then goes out after starting, it is most likely operating well enough to warn you if the oil pressure is dangerously low from a restricted oil pickup screen. 1994–1998 V6 Forward Camshaft Sprockets can Fail causing Catastrophic Damage. All Models May be Affected up to Engine Serial # X210307 but at this point, we do not know for sure. Failure to address this potential problem may result in V6 Engine Failure costing up to $3000. Possibly ALL V6 MODELS up to Y1998 are affected, but we do not have sufficient information to be sure. (Update Jan.2006) so far, we have not found any further fractured camshaft sprockets or dowel pin breakages in our small experience, but have witnessed two failures of Serpentine Tensioner pulley failures in the later 3.0 Liter V6 engine at 80,000 miles, after the first belt had been changed. We recommend considering replacement of these pulleys at each belt change. 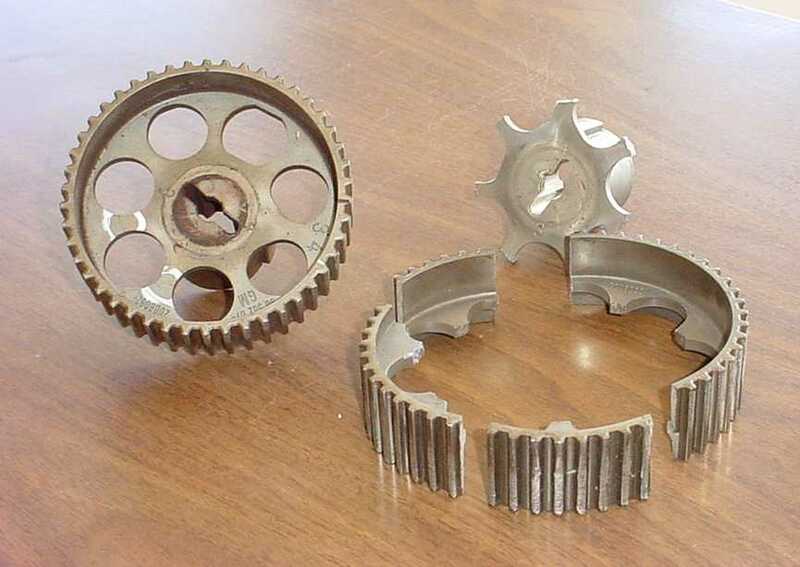 Front Bank Timing Sprockets may Fail because of Stress Fatigue - New Sprockets were designed, centering the Toothed Wheel over the Spokes of the sprocket, thereby balancing the flex loads. The offset required to accommodate cylinder offset was re-engineered by lengthening the hub and using longer Camshaft Sprocket Bolts. Saab has not Recalling the Earlier Sprockets, or published any bulletins about the design change or failures. Many Saab owners have had Catastrophic Engine Failures with their V6 engines. Some were caused by not replacing the Timing Belt at 35,000 mile interval as Saab specifies. Some have failed because of problems with the Tensioner pulleys. A new "Kit" , including new style Tensioner and Pulleys was usually installed under warranty, if brought in before 100,000 miles. We Believe Engines up to Serial Number: X210307 have the offset sprockets. We believe all of these may be subject to Fatigue Stress Fractures, and these part numbers may coincide with models as late as the 2000 9-5. We cannot get better information from Saab, only through the part and serial numbers. Saab has published no bulletins regarding this problem, but updated the Sprockets (requiring shorter bolts) to New Style Sprockets which are automatically superceded. If we are wrong about the application, Sorry- this is the best we can do. We would not expect Saab to offer the information we need to verify which model years are affected, but from part number and application information, our best guess is that the early style sprockets may be on models as late as Y2000. We believe they must be inspected, for your protection, now and in the future. We also recommend replacing the forward Sprockets at the next Convenient Opportunity, possibly when the Timing Belt is replaced, or sooner. Also, early "hollow" sprocket Dowel Pins locating the sprockets onto the Camshaft have failed and should be replaced with solid Dowel Pins. These were originally installed on 1994-1995 900V6 & 9000V6 models below VIN: S7010000. Wrecking Yard owners salivate when one says "V6" as they know these engines have a high failure rate and command usually $2500 from the yard for a used replacement. Repairing the Bent Valves caused by a Timing Belt, Sprocket or Dowel Pin Failure usually costs $3000. Besides replacing the Belt on time, WHEN the belt is replaced, INSPECT THESE COMPONENTS! 1. Early Engines should have the Timing Belt "Kit" installed, including a New Design of Tensioner and Idler Pulleys. 2. Early Engines had Hollow Dowel Pins (actually, they are only "Roll Pins") which we have seen shear off, destroying the Camshaft timing and resulting in catastrophic failure.below VIN: S7010000. 3. The Suspect Front Bank Camshaft Sprockets, do not center the Belt Toothed Surface over the sprocket spokes. 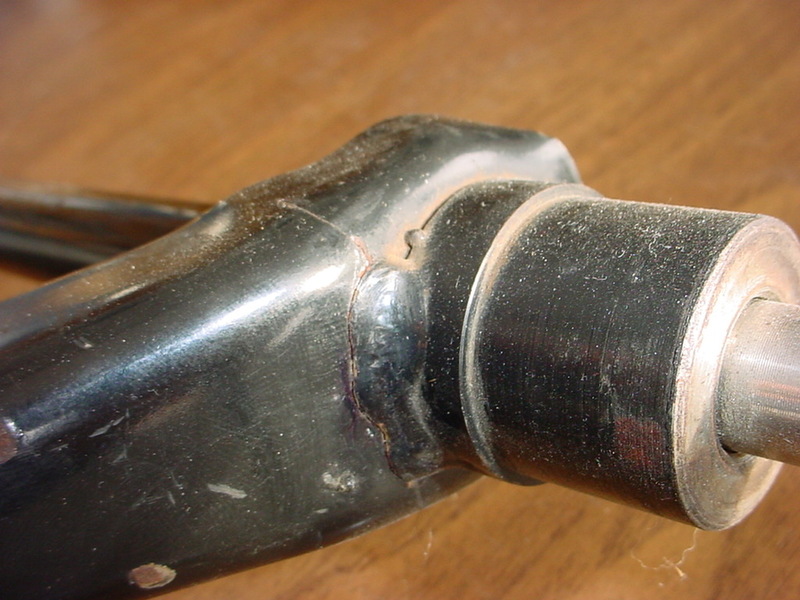 This Off-Center stress can cause fatigue and Sprocket Failure- resulting in Catastrophic Failure. These Sprockets should be Inspected and Replaced if the 'earlier' design. WE URGE ALL V6 LITER ENGINE OWNERS TO HAVE THEIR TIMING SPROCKETS, DOWEL PINS AND BELTS INSPECTED AND UPDATED. THIS IS THE ONLY INSURANCE WE KNOW OF TO PROTECT AGAINST LOSS OF CAM TIMING, AND ENGINE FAILURE, BENDING OR BREAKING MOST OF THE VALVES IN BOTH CYLINDER HEADS- RESULTING IN A $3000 REPAIR BILL. THE COST OF THESE INSPECTIONS MAY BE UPWARDS of $125. Replacement would be in the $600 range. The parts are not expensive (Approx. $225 for belt, sprockets + dowels) but would take another 3.5 hours of time ($240) from having it apart from the inspection. Replacing the Timing Belt at the same time would add to it's cost-effectiveness. 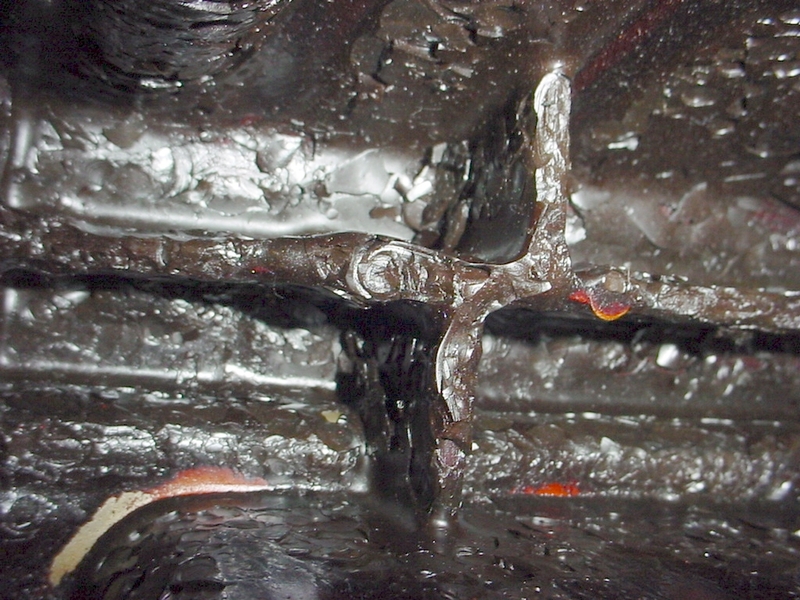 If not inspected or addressed- this hose may be rotting internally and plugging your clutch hydraulic system. The Saab prescribed remedies are very expensive but can be circumvented with early detection and at a minimum, flushing the clutch fluid. This hose carries the fluid pressure for your hydraulicly operated clutch. One type of hose has been found to deteriorate internally, plugging up the hydraulic cylinder inside your clutch assembly, known as the "slave cylinder". Saab issued a bulletin to dealers in 1999, but we have not seen any problems until recently. The Saabs experienced difficulty in depressing the clutch pedal, because the rotting rubber from the defective hoses was plugging small orifices in the slave cylinder. This problem could potentially damage many other clutch components, resulting in very costly repairs. Even if repaired before other damage has occurred, Saab recommends replacing the hose and slave cylinder seals, master cylinder and supply hose. These repairs alone could cost over $700. Saab does not cover this under warranty, but in some cases, has contributed to part of the expense. To help those of you with defective hoses who are unable to afford the expense as a preventive measure, we have a proposed experimental remedy, not requiring major replacements. The hose should be inspected to verify the defective part. It is located below the battery box and has a "bumpy" surface, in the form of a cross-hatch pattern. The defective hose should be replaced immediately, and the Slave Cylinder "Backflushed and Forward Flushed" successively with brake fluid, water, and air, several times to remove the debris which may plug the slave cylinder orifices. Then the entire clutch and brake hydraulic system thoroughly flushed. We have successfully flushed the cylinders this way, and at least for the time being, avoided having to remove the clutch for an expensive repair. Please drop by anytime soon for a Free Inspection of your Clutch Hydraulic Hose. 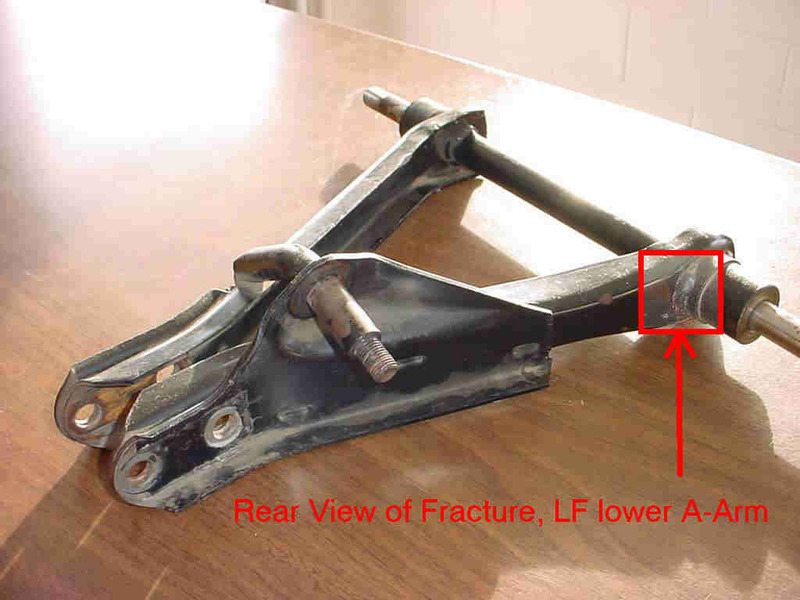 ALERT: We have found Structural Fatigue of the Lower Suspension Control Arms in 15% of older, early platform Saab 99’s & 900’s (1969 – 1993) after a year-long survey conducted at Swedish Motorcar Service. 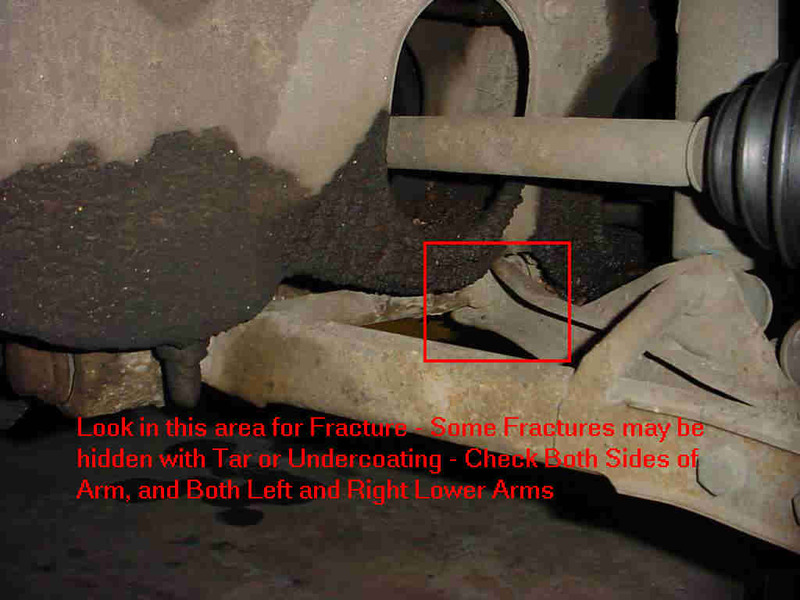 This fatigue may eventually result in failure of the Control Arm and is potentially very dangerous, resulting in a loss of steering and total vehicle breakdown. If you have had service work in our shop during 1998 we have probably already inspected your control arms and will continue the inspections at routine Oil Servicing. 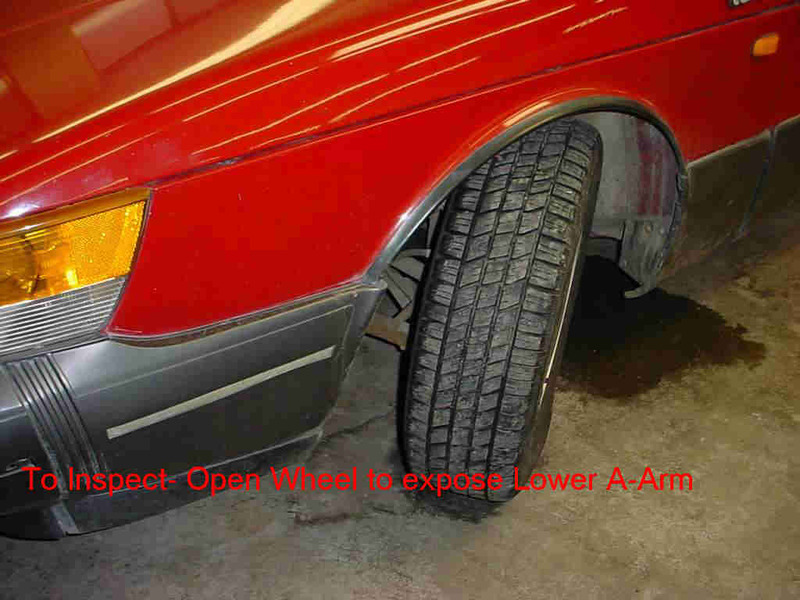 All other 99/900 owners are invited to visit us for a FREE VISUAL INSPECTION of the Lower Control Arms. This will take only a few minutes. A more thorough, Magnified Inspection will require an appointment, however, and possibly leaving the car for the day. 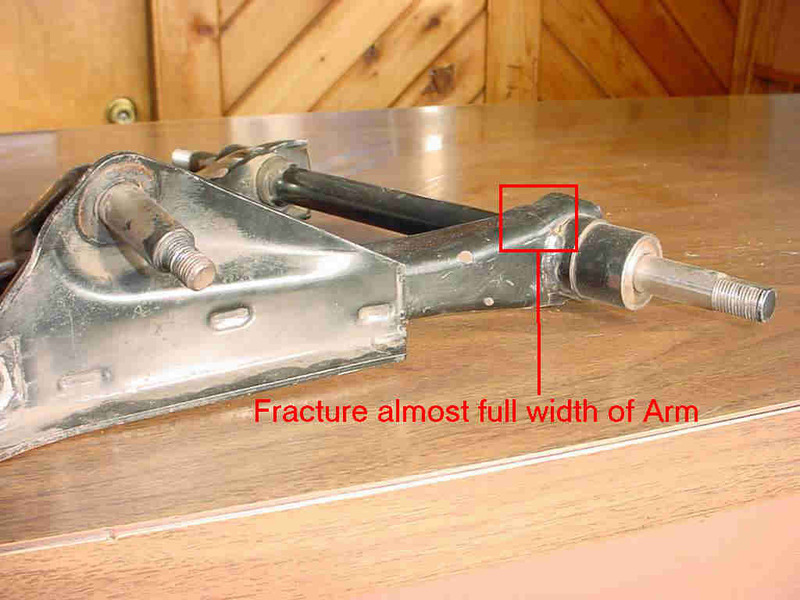 NOTE: SOME FRACTURES ARE NOT AS OBVIOUS OR EASY TO OBSERVE AS THE ABOVE PHOTOS. 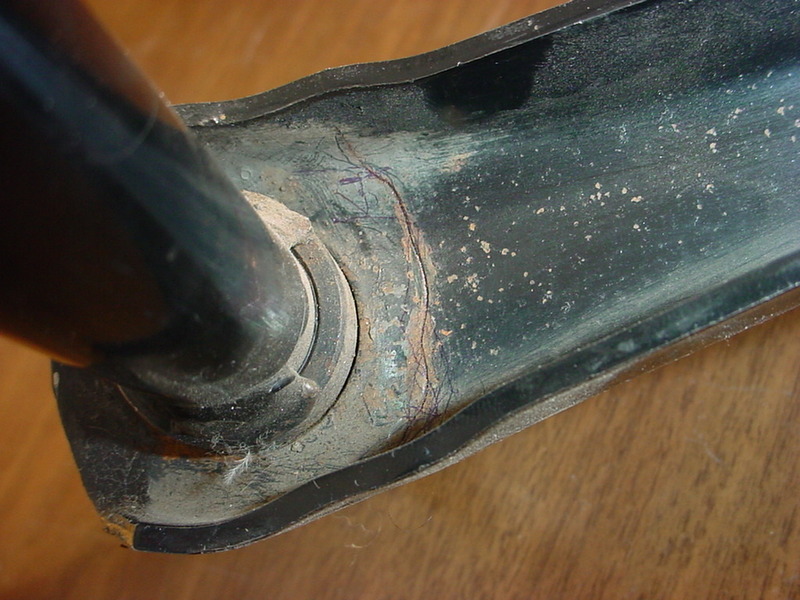 LOOK FOR THIN RUST LINES IN THIS AREA- SOME ARE NEARLY UNNOTICABLE, BUT USUALLY THE FRACTURE WILL BE EASILY VISIBLE BEFORE IMMINENT FAILURE- CHECK EVERY OIL CHANGE- CAN BE DONE ON THE GROUND. IF OIL OR ROAD TAR OR UNDERCOATING IS ON THE ARM, CLEAN WITHOUT MAKING SCRAPE MARKS (USE A SOLVENT) SO THAT FRACTURE WILL NOT BE CONFUSED WITH SCRATCHES. 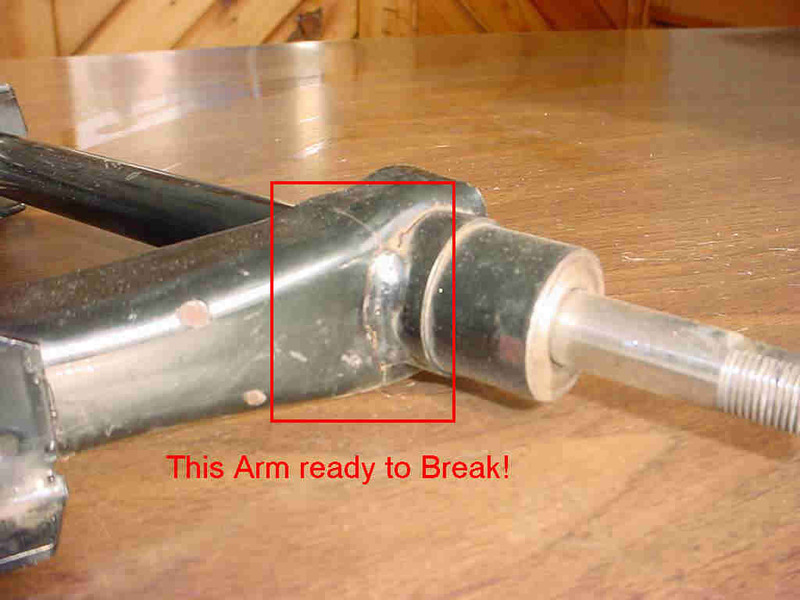 IN TIME- RUST WILL APPEAR IF ARM IS NOT COVERED WITH OIL. Summer, 2000. Beware of Repair Shops advertising unusually inexpensive AC Repairs using R-12 refrigerant ( Freon ). Virgin Freon is now approx. $60 per pound. Some shops are selling Reclaimed Freon for much less ( $30 a pound). Most of this refrigerant has been removed from unknown scrapped cars from Auto Dismantlers. It is usually un-tested and may contain contaminants such as moisture, R-134 refrigerant, and even Propane, which could render your AC system inoperative, irrevocably damaged, or even dangerous! If the price is suspiciously low, ask the shop owner if this freon is tested and guaranteed safe for your Saab. Now you can Retrofit your older Saab to the new Environmentally Safe Refrigerant (R-134a) at much reduced costs. This will help you to stay cool this summer, and upgrade your Saab at the same time. Consulting many sources, we believe it is safe to now retrofit your existing AC system to the new refrigerant with a minimum of expense. For many of you who have not kept your AC systems operating over the past years because of "freon" leakage, this may be just the right fix for you. There are two methods we recommend. Adaptive Method: For systems with questionable compressors or other problems, where eventual failure is a possibility, we recommend the "Adaptive Oil" method of retrofit, where adaptors are installed, a special adaptive oil added and the system is simply charged with R-134. This method should cost approx. $200. Best Method: For systems currently operating, the best retrofit consists of installing adapters, completely Flushing the AC system clean, replacing the filter dryer, changing the oil in the compressor, and recharging with dyed R-134a. This method costs approx. $400. EITHER WAY - WE WILL BUY YOUR OLD R-12 (FREON) FOR $35 PER POUND, POSSIBLY AMOUNTING UP TO $100 IN TRADE IN VALUE FOR YOU TOWARD THE ABOVE REPAIRS. Of course, any AC repairs needed, such as failed fans, relays, thermostats, leaking hoses etc., will be additional. We will try to evaluate each system on and individual basis and advise you of the best way to proceed, and what may be needed. If your system has chronic leakage, as many older Saabs do, inexpensive recharges, using R134 will be available to you every year following the Retrofit. ( the average R-134 system contains $25 worth of refrigerant, but the average R-12 (old type of freon) contains $225 in refrigerant alone!